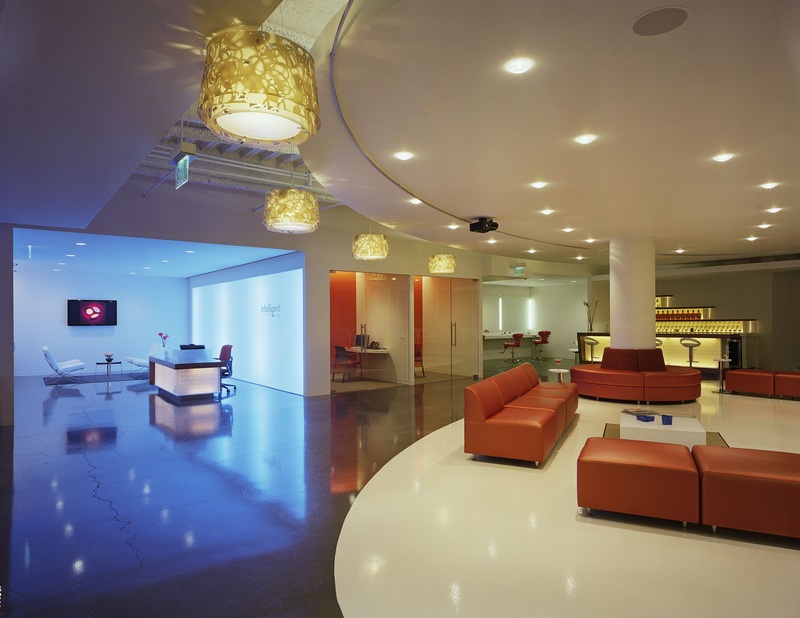 Companies who use our modern office furniture do so because they know time is infinitely worth more than money. When it comes to time, you have to choose wisely what you do with the minutes in your day. Once an hour goes by, it’s gone by for good. Smart money-makers and business owners understand the value of time maximization for themselves and their team members. Popular technologies, like time tracking apps, to classical best practices, like Benjamin Franklin’s daily scheduling technique, let us at Strong Project know working professionals have a strong desire to make the most of the day – and we’ve spent our time designing office spaces that solve four key time-related problems in the workplace. The four time-stealing obstacles in the workplace we will help solve in this post are productivity, creativity, focus, and employee retention. But before getting into the specific furnishings that will help you improve productivity, creativity, focus, and employee retention, let us quickly go over the issues most working spaces have with traditional office furniture. The most extreme example of a nonproductive workspace is the cubicle. Such enclosures do more than lower productivity, cubicles also decrease a person’s health. Keeping your coworkers in small boxes lowers their morale, spirit, and comfort. 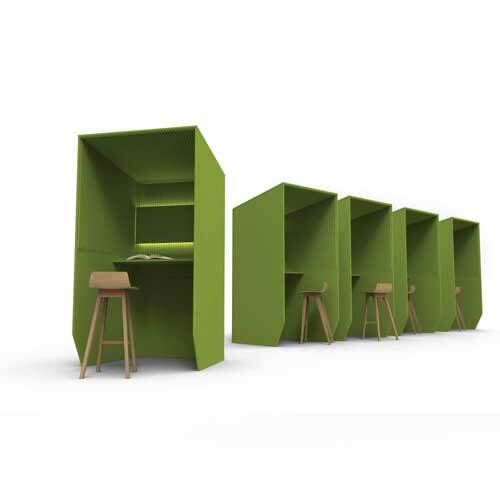 Traditional office furniture does little to encourage creativity. When you standardize a working environment, there is a small difference between one company and another. People want to experience uniqueness in their personal and professional lives. A traditional desk and chair may decrease the chances of someone having an original thought that will improve the effectiveness of a business. 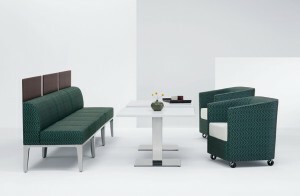 A productive work area requires space for people to place themselves in multiple situations. For example, a particular problem may require alone time and focus. If there that place does not exist in your business, then a person will feel frustrated about the fact they do not have a quiet place to think. We’ve also discovered a strong connection between positive and fun working spaces to employee satisfaction, which, as a result, makes employees stay within a company for longer periods of time. Simply put, a place where people can both work and enjoy themselves leads to better work and happier staff. 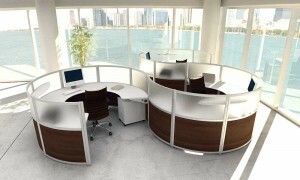 Thankfully many design alternatives exist to the counter the productivity-killing cubicle. 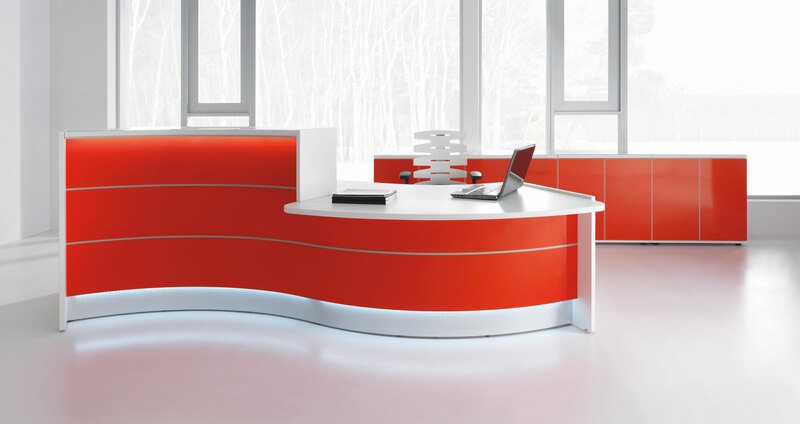 No matter what furnishings you choose, the single most important decision you can make is to use modular office furniture. With this type of multi-purpose office furniture, you can create both private and social workspaces. 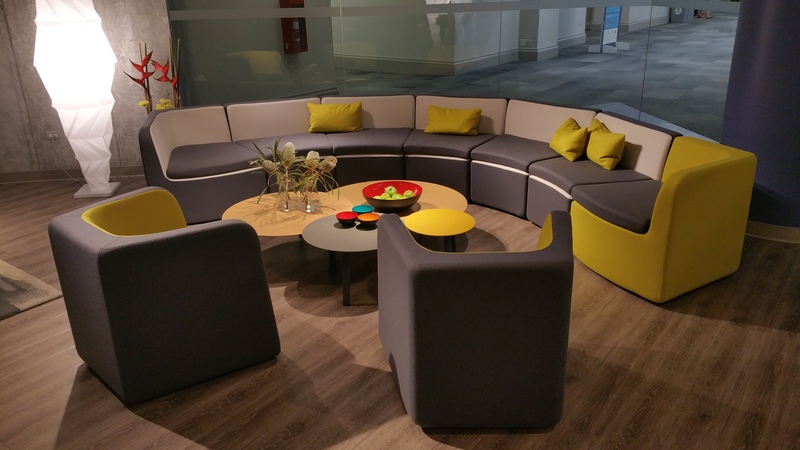 Modular office furniture options with low walls, like this one, simultaneously encourage conversation and encourage private inspiration. One of the secrets to designing a unique workspace that encourages creativity, is to not make use of the space itself. Instead of thinking about what to put in the center of the room, begin with building from walls. Because most modular designed desks have flexibility — they are do not have the singular position of a traditional desk — you can maximize wall space with modern office furniture as seen in this picture. Stand out from every other company out there with distinctive furniture that gives your environment a personality of its own. 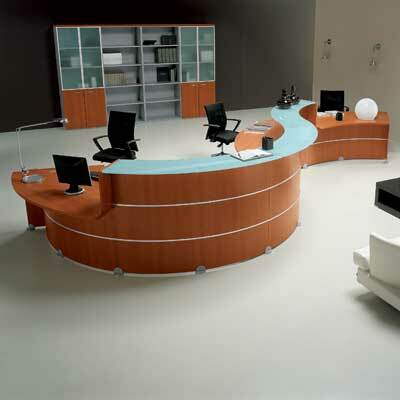 Instead of a traditional coffee table, a modern styled table compliments and completes any office setting. Some tables include space underneath the tabletop, so you can store books, brochures, snacks, or anything else you desire. It’s no surprise some of today’s most successful companies, like Google, Facebook, and Cisco, have workspaces that do not induce boredom. You may think an environment with a lot of interaction would create too much noise, but that is a problem when you use acoustic office furniture. Setting up your office with sound absorbing panels takes the volume down a notch during collaborative group sessions. And if you’re looking for a place to create focus, a sound absorbing singular space allows someone to speak on the phone or listen to music, without disturbing people around him. 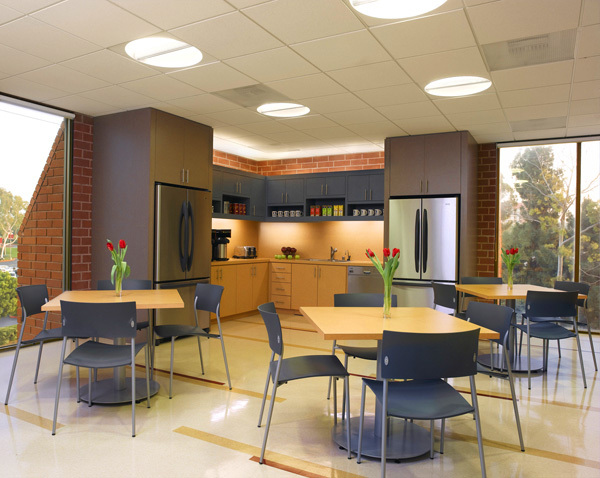 With the ability to accommodate commercial office interiors nationwide, Strong Project wants to help you maximize your time in a working environment. We have a national shipping network, so you can receive your order in the short amount of time. To see more about our quoting and shipping process, visit this page once you are ready to move forward with your project.